I heard about Crysis years ago when it first came out on PC. Not being a PC gamer myself, I could only listen to what others said about the graphics, gameplay and the experience of being in the Nano Suit. 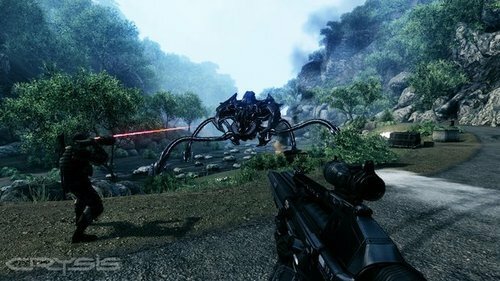 Then, about a year ago, Crysis was released for the PS3 and Xbox 360 and I still missed out. However, thanks to my good friend Jermaine and him telling me how epic this game was, I downloaded it immediately. Ladies and Gentlemen… he wasn’t lying. The mission is simple. Under the command of Raptor team leader, Prophet, you and the squad must covertly infiltrate Lingshan Island after the North Koreans kidnap civilian archaeologists that made a major discovery. As you will soon find out, this discovery doesn’t have human origins- making the mission a bit more complicated. Players will assume the role of Jake Dunn or codename Nomad who is equipped with a high-tech exoskeleton nano suit. A nice fun fact for you: the nano suit was actually inspired by a real-life military idea. 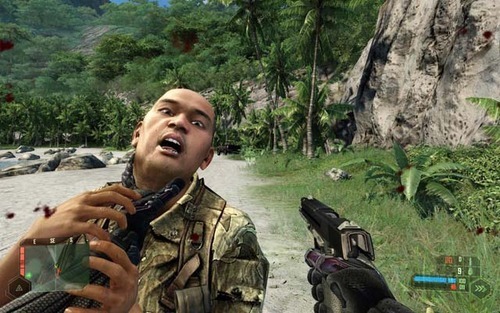 Now, if you are familiar with Crytek’s other game, Farcry, then you already have a pretty good idea of how to play. This is an open-world FPS with multiple ways of getting the job done. The nano suit has four different modes that can be selected; giving players almost limitless opportunities to complete the mission. Each mode requires energy and without that, Nomad is left vulnerable. Cloaking allows the player to blend in with the environment and sneak past enemies and even suppresses movement noise. Next you have Speed, which makes Nomad run, swim and reload faster. Armor lets the player take multiple hits without losing health then recharges the suit’s energy faster. Finally, Strength will most likely be used by those who like to get up and personal. It allows stronger melee, the ability to throw objects and enemies, increased jumping height, steady aiming and reduces weapon recoil. Strength is a pretty useful mode, wouldn’t you agree? There were times through my playthrough that I would pull a Solid Snake and sneak past enemies and then I would armor up, go all Rambo on whoever I could find and blow things up. It all comes down to how YOU as a player want to progress and that is something I love about this title. With all these North Koreans (and aliens?) that you have to go up against, what do you have at your disposal? Anything from your bare hands, binoculars, (very useful) assault rifles, shotguns, pistols, snipers and even some high-tech weaponry. Each weapon can also be modified to fit your play style. Take the Scar for instance, players can equipped it with a grenade launcher, incendiary ammo and a reflex scope and become a walking tank. That’s just the tip of the iceberg people. All modifications can be done without even going to a menu screen; everything happen in real time. “So Marcus, players can only run around the entire island?” Good question and the answer is no; players will have access to vehicles. Be it a motorboat or a jeep, these vehicles allow you to get where you need to be quicker. Of course, that means killing whoever is in the vehicle at the time but it is a small price to pay after all. Certain motor vehicles have guns mounted on them that can be turned against the enemies. There are even a couple of missions that put you in control of a tank! The campaign takes roughly about 8-9 hours to complete which is longer than most FPS of today. I have nothing but good things to say about Crysis and the graphics is one of them. Even 5 years after the initial release, Crysis is still a sight to behold. Where the graphics aren’t as good as the PC version, they certainly hold their own on the PS3 and Xbox 360 consoles. I played on the 360 and besides the occasional graphic glitch, I had no problems. Sadly to say, there are issues with the game that hold it back from getting a perfect review. The A.I in the game react to every small detail but to an exaggerated extend. If they see your toe from 10 miles away, the enemies go into full alert automatically. This gets highly annoying when you are trying to be stealthy. For some reason, the multiplayer aspect of Crysis didn’t make it into the port over edition. It almost feels like you are getting half a game. Granted, there are only two modes to choose from but console gamers should have been given the option to play online if they wished. The climax will keep you at the edge of your seat and wanting to play the sequel. The multiplayer mode didn’t make it to the console version. As a final comment, I can see why fans of Crysis weren’t so pleased with the sequel. Since I own and beat Crysis 2, I can understand them to an extent. The sequel doesn’t retain the open world element that the original had. However, both games are amazing in their own way and you shouldn’t let anything deter you if a purchase is crossing your mind. 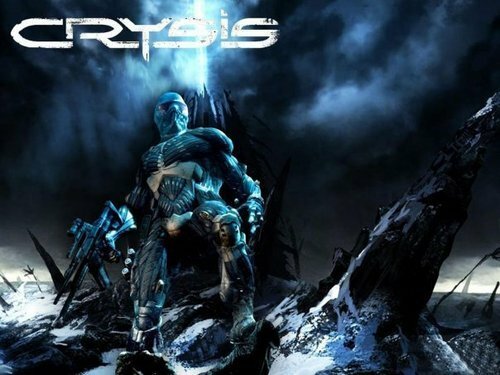 For those of you looking for something other than Call of Duty or Halo, turn your attention to Crysis and you might just find a new favorite game. 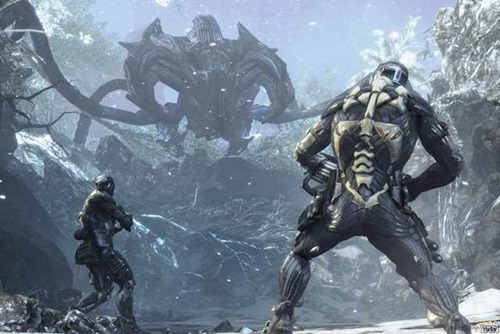 Crysis got remarkable reviews across the board and EWG’s review is no different. With both games covered, we are ready for the final installment. 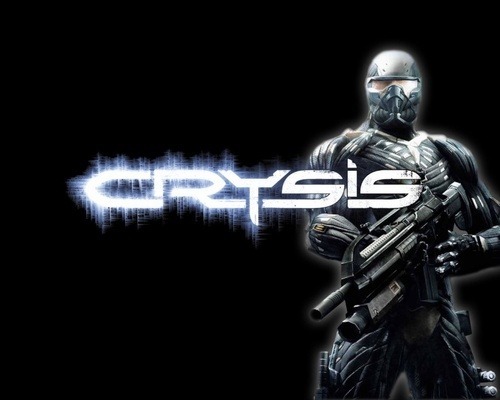 Would you consider Crysis to be one of the best FPS’ around?